When is the right time to find assisted living for my parents? One of the more difficult decisions one can make as an adult is figuring out whether a parent should be in an assisted living facility. Ideally, parents would spend their golden years in the comfort of their own homes, but this isn’t always possible. In fact, seniors are often healthier and happier in assisted living, where they can get the care they require while being active and social with other people their age. And for those with Alzheimer’s disease, it may be of great benefit to their cognitive function to place them under the care of experienced, compassionate caregivers like those at Aegis Living. Sundowning, also known as late-day confusion, is a very common symptom of dementia. It generally occurs at the end of the day when the night begins to set in, and it can cause a variety of unusual behaviors, including anxiety, disorientation and aggression. The factors that can trigger these symptoms include fatigue, poor lighting and disruption of the circadian rhythm, among other circumstances. According to the Alzheimer’s Association, 60 percent of people with dementia will wander. This is caused largely by memory issues and disorientation, as seniors may forget their addresses or feel lost in even the most familiar settings. One danger of wandering is that seniors can become lost, but it can also lead to falls and injuries that can be detrimental to one’s health. As people slip further into cognitive decline, they may be more likely to seclude themselves from friends and family. But loneliness can also be a precursor to Alzheimer’s disease. A study conducted at the ARKIN Mental Health Care in Amsterdam found that feelings of loneliness – not social isolation itself – can predict the onset of dementia. Take notice of your parent’s social and extracurricular activities. Has your father abandoned a favorite hobby? Has your mother stopped spending time with her best friend? Perhaps your parent has given up that club membership that he or she had since you were a child. Loss of interest in activities that a parent once found pleasurable can be a sign of depression related to dementia. Nutrition and diet can become a major concern among the elderly, particularly those with dementia. If you recognize extreme weight loss in your parent, it may be a sign that he or she is not eating enough. You should also keep an eye out for a large amount of uneaten or spoiled food in the refrigerator and pantry. Often, malnutrition and weight loss is caused by the fact that seniors with dementia can simply forget to eat. Much like with eating properly, hygiene can be a forgotten aspect of everyday life for people with dementia. Seniors may forget that their clothes are dirty after removing them and fail to place the items in the laundry basket. Additionally, an impaired ability to make judgments and feeling overwhelmed by too many clothing choices can attribute to difficulty getting dressed in the morning. Another aspect of poor hygiene associated with dementia is that seniors can have trouble keeping track of bathing, teeth brushing and other facets of cleanliness. It’s normal for people to experience deteriorating health as they get older – it’s a natural part of aging. But if you find that your parent is becoming less able to manage his or her health care needs, it may be time to consider assisted living. Caregivers at these communities can provide seniors with medication administration, in-house doctors’ visits and nutritional guidance to help manage health conditions. Heightened levels of stress and anxiety for the person who oversees your parent’s care can also be a sign that it’s time for assisted living. For this reason, an open line of communication with the caregiver is important for understanding the real status of your parent’s health, whether that person is a hired professional or a family member. 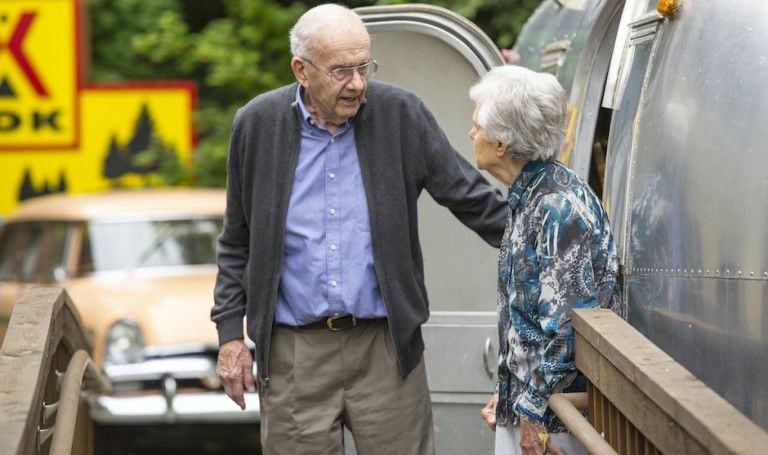 These are just some of the many signs that your parent may be ready for assisted living. Once you have determined that now is the right time, you can begin the process of shopping around for a comfortable community and begin the process of transition. A great way to ease into assisted living is through a trial stay. At Aegis Living, seniors can stay as short-term guests, giving them the opportunity to get to know the staff and residents, engage in activities, taste the food and experience the community in other first-hand ways.